The breast is a microenvironment. It consists of epithelium, stroma, and a mucosal immune system. It is also home to a collection of microbes. Call them partners, bystanders, or interlopers, these microbes are actually community members. 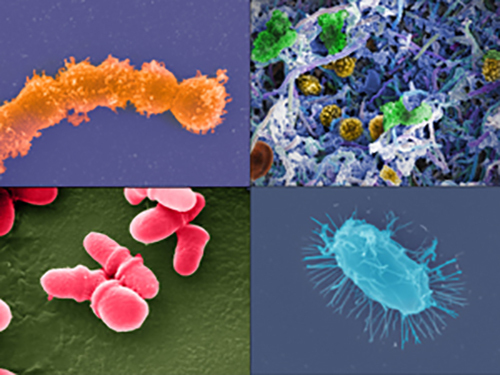 And it is as a community that a particular collection of microbes—a microbiome—may impact the wider microenvironment, contributing to health or illness. When the microenvironment is the breast, the microbiome may contribute to the development of cancer. This possibility was considered by scientists based at the Mayo Clinic after they found evidence of bacteria in sterilely obtained breast tissue. In an article (“The Microbiome of Aseptically Collected Human Breast Tissue in Benign and Malignant Disease”) that appeared August 3 in Scientific Reports, the Mayo Clinic scientists indicated that they had found differences in the breast tissue microbiome between women with and without breast cancer. The article describes how the scientists used 16S rDNA hypervariable tag sequencing to assess breast tissue microbial signatures in intraoperatively obtained samples. With this approach, the scientists were able to show that the breast tissue microbiome is different from the microbiota of breast skin tissue, breast skin swabs, and buccal swabs. Essentially, the scientists confirmed the presence of a distinct breast tissue microbiome, one that is different from the microbiome of the overlying breast skin. According to Amy Degnim, M.D., a breast surgical oncologist at Mayo Clinic and one of the study’s co-authors, it remains unclear whether small shifts in microbial communities, the presence of a virulent pathogenic strain, or the absence of a beneficial one might be responsible for promoting the development of cancer in the breast microbiome. However, she says the findings of this study will spur further research to identify potential causes of breast cancer development and new microbial-based prevention therapies.